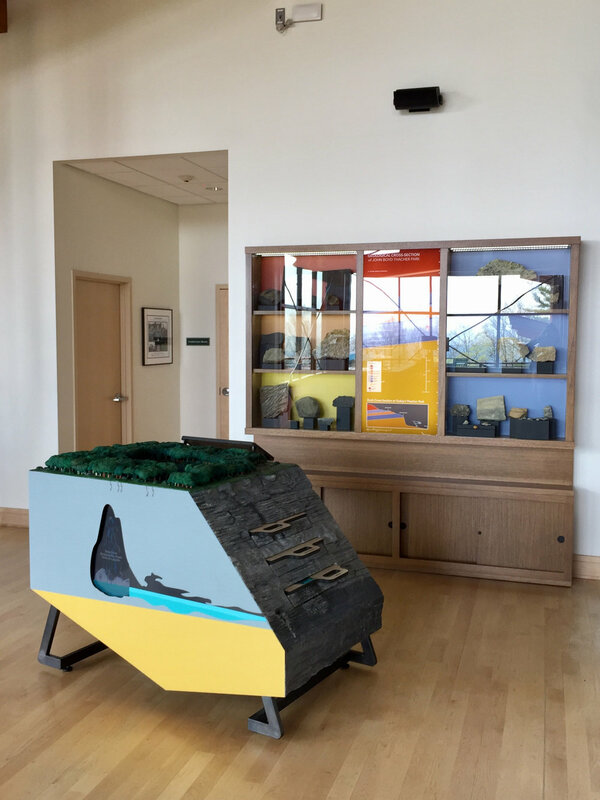 John Boyd Thacher State Park — Moey Inc.
Moey was responsible for all design, content development, technology, fabrication, install and support for all of John Boyd Thacher State Park’s newest visitor center’s exhibits and visitor experiences. 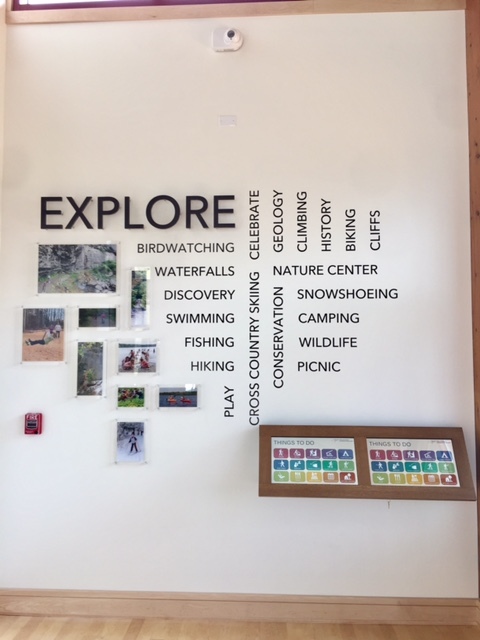 The new 8,240 - square foot $6 million visitor center exhibits and displays tell the park’s unique geologic features, cultural and natural history, and recreational opportunities. Experiences include a beautiful experiential concrete cave, interactive Karst model, geology wall, artifact cases, stunning banquette and fossil layered glass table, scientific animations, kiosks, donor plaques and wall, interpretive graphics and many more special features!